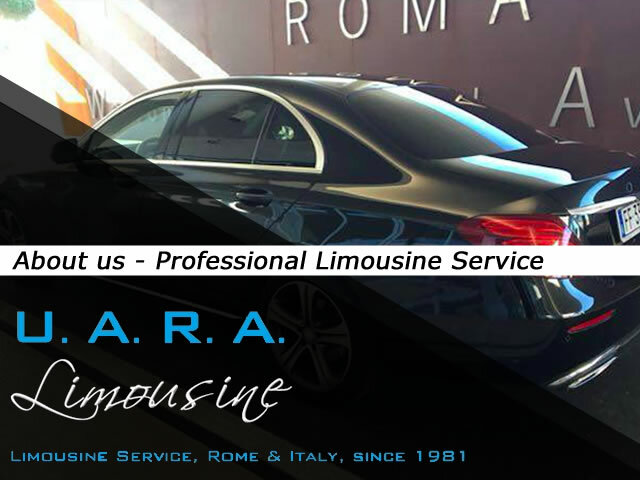 U.A.R.A Company (Union Authorized Roman Autorentals) was founded in 1981 to provide a professional Limousine Service in Italy. A series of luxury cars driven by skilled drivers will lead you to any Italian destination punctually and efficiently. Our 30 years experience guarantees a full quality service, targeted to the complete satisfaction of our customers at all times. This philosophy was created day after day by our Staff, from the Drivers to the Operational Support team, creating a true culture, a strategic added value to meet the new market challenge. Limousine U.A.R.A Staff is fully available 365 days a year, 24 hours a day. Give yourself an unforgettable experience with our tour.